After working together for many years Sarah Sessa and Karen Pearce joined forces and opened the Physiotherapy & Pilates Rehab Centre. Karen, a former Ballet dancer, trained with Alan Herdman in 1999 and has been running The Pilates Studio in Taunton for nearly 20 years whilst developing a Teacher Training programme affiliated with Alan Herdman. Sarah qualified as a physiotherapist from University College London (UCL) in 1995 and then as a Pilates Instructor in 2009, she began lecturing for the Pilates studio TTC in 2012 has just completed a Masters in Inter-Professional Development at UWE where much of the focus was on neuroscience and the use of Pilates in neurological conditions, particularly Parkinson’s. Both are fully qualified to teach matwork and machine-based Pilates and share an interest in Pilates for rehabilitation and individualising exercise for clients with differing needs. 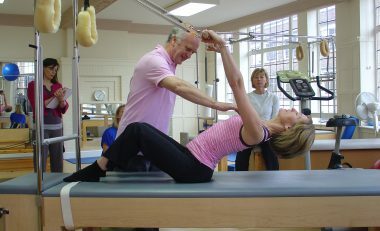 In 2016 they published a book Pilates and Parkinson’s with Muswell Hill Press and now jointly run The PPRC Pilates Teacher Training course in affiliation with Alan Herdman. Opening in 2019 offering physiotherapy assessment and equipment Pilates for neurological conditions. The neuro physios at this centre do amazing work. I had lost almost all movement on my left side as a result of a stroke. At our first meeting, my walking was poor and I had no fine motor control of the arm. The team have a friendly, encouraging and professional approach and are technically skilled. Exercises were tailored to my specific needs, and I can now do everything I could before the stroke with no deficit whatsoever. The therapy approach uses the principles of Pilates and in many ways I am in better shape now than I was before the stroke. The PPTC was the most valuable investment I’ve made in years. Worried about investing in a flighty weekend course, it was refreshing to find a Pilates Teacher Training Course that demanded a foundation in anatomy and a complete understanding of the principles and fundamentals of Pilates. In addition it gives you the Active IQ Level III qualification, which allows you to benefit from an international approved standard. 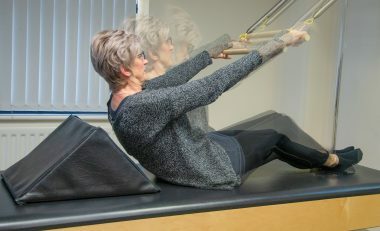 The PPTC not only covered an intense study course, but also offered a full practical training course in all exercises extended through Pilates equipment and mat work. It is designed to help you understand the needs, conditions and uses of Pilates exercises when facing all types of clients and situations. In addition, the course provided on site work placement throughout the training, giving us students the possibility to develop a level of confidence in our knowledge, that is needed when progressing to working by oneself. Both Sarah Sessa and Karen Pearce are hugely experienced professionals, who use their immense knowledge to train and progress their students as much as possible. To complete the course and to finally be assessed and passed by the distinguished “Alan Herdman”, was the highlight of my year. I highly recommend the course, which not only provides a great depth of knowledge through training, but which on graduating, allows you to become associated with a seminal group of professionals within this industry. I have limited mobility due to MS. On assessment the physio immediately understood my needs, not just in terms of a physical diagnosis but also as an individual in a holistic way. She listened to what I was saying and made me feel part of the therapeutic process. I have been attending these Pilates classes for a couple of years and found it to be very beneficial to my health and wellbeing. I have improved my posture, flexibility and, importantly for me, am able to maintain my back health. The lessons are tailored to your particular needs and knowing the programme is overseen by a physiotherapist inspires confidence that the exercises are safe. For an MND sufferer like me there is no treatment or cure, but attending this well-equipped studio has been very beneficial. The staff have a professional and cheerful manner, lifting my spirits so I go home feeling so much better! 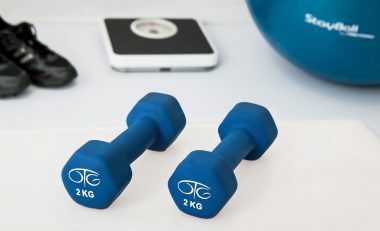 They are professional and competent, and know exactly how much I can and should exercise so the effect is definitely to improve things physically and mentally. It is definitely one of the best therapies for me. I have Multiple Sclerosis and The Physio and Pilates Centre was recommended to me as I had reached an all-time low, scared as to how the MS might progress. The physio assessed me thoroughly and suggested Pilates combined with physiotherapy could be beneficial. I have been attending sessions several years and the difference is unbelievable. During the sessions we work on balance and strengthening. My family are amazed at how well I am walking and I have a set of home exercises which keep me focussed and hopeful. The staff are very upbeat, happy and encouraging. And the atmosphere is warm and friendly. I have been given me a new lease of life. Karen and Sarah’s Pilates Teacher Training Course was possibly the best training course I have ever attended. Having spent all of my professional life involved in Health and Fitness, I have completed many training courses in the US and UK, from state lifeguard to PhD, and Karen and Sarah’s course is one of the two absolute best courses that I have ever taken. Sarah’s Anatomy and Conditions lectures and booklets were informative, comprehensive, and will be an extremely valuable resource for years to come. Karen’s expertise and teaching style was absolutely fantastic! She is so willing to share her wealth of knowledge, often including her own, or Alan’s, newest exercises or changes to old ones; she never tires of repeating cues for exercises, and is so willing to give extra time. Observing and then assisting at both the Clevedon studio and the Taunton studio is a must. The clients at the two studios differ, and the experience gained from the time spent at each studio is invaluable. Completing Karen and Sarah’s course, armed with all of the booklets and experience gained during the course, with a final assessment by Alan Herdman, makes their course the absolute best. Thank you, Karen and Sarah. A big "thank you" to all members of staff who have always made me feel very welcome and extremely well cared for at every session. I am truly grateful for all the consistent advice, encouragement and guidance I receive which helps me to strengthen my muscles and improve my balance. I have attended classes for several months. The Pilates expertise and knowledge ensures a tailor-made exercise sessions. I have a progressive neurological condition and have markedly benefited in terms of flexibility and balance, as well as improved strength and posture. The exercises are taught in a friendly, effective manner by an impressive and highly professional teacher. A year of attending Pilates classes has made such a difference to my hip. I was living with constant pain, but over time and with careful guidance, my core strength and flexibility has improved which supported my back and hip and relieved the pain. I didn't expect such a change as the exercises seem so subtle. The groups are small, allowing for personal attention. I cannot recommend them enough.